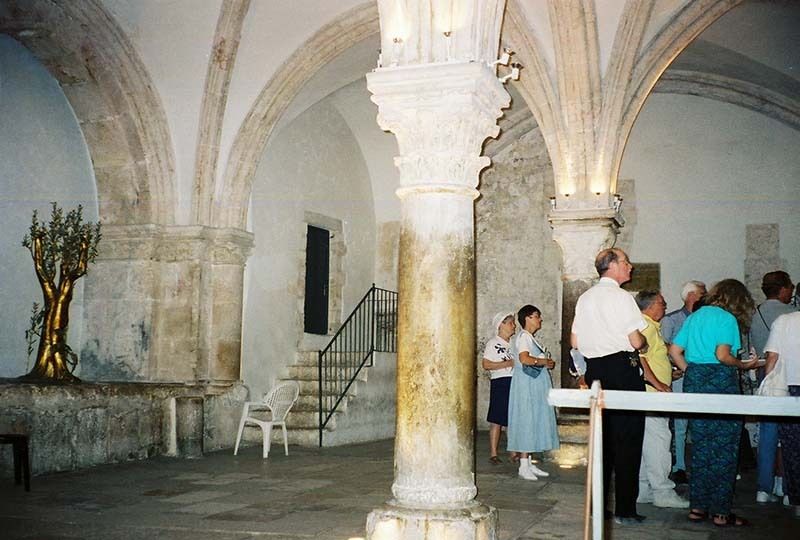 The Upper Room is also where the disciples prayed together for nine days after Jesus ascended to heaven. 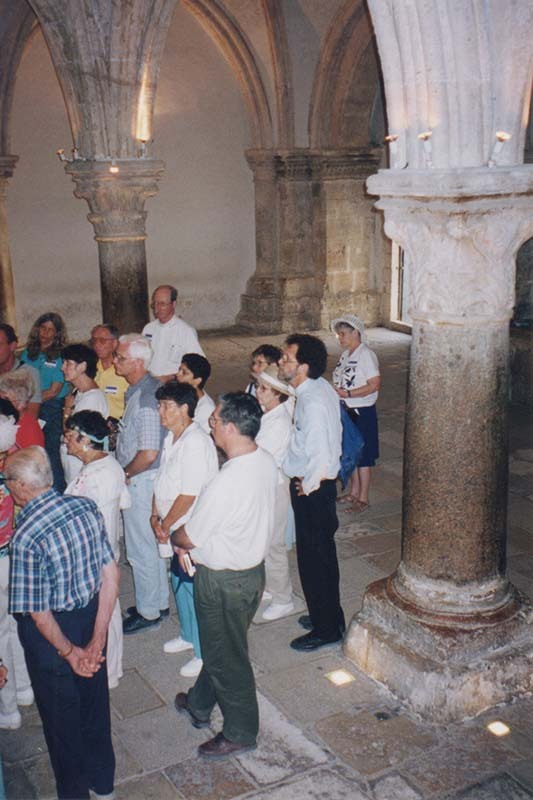 Here is where the Holy Spirit descended upon them on Pentecost. Here is where the birth of the Christian Church occurred. But we cannot worship here. To celebrate the Last Supper, we have to leave this site and go next door ….